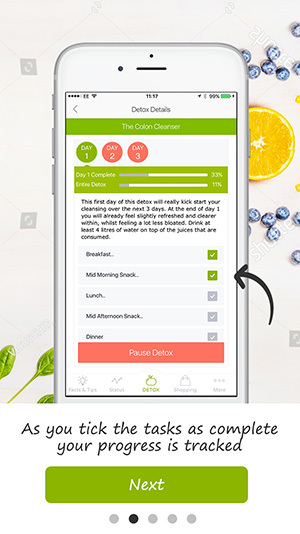 Detox Pro Diets and Plans - The only way to manage your detox. 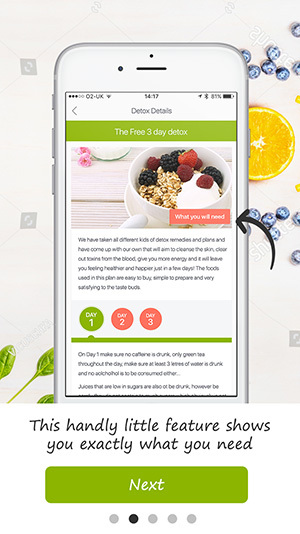 Detox Pro 2 (Detox Pro Diets and Plans) is a relaunch of Detox Pro 1. 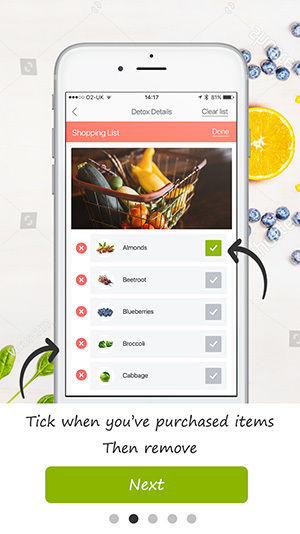 This version has had a complete overhaul of the UI/UX as the original app was released back in 2011. 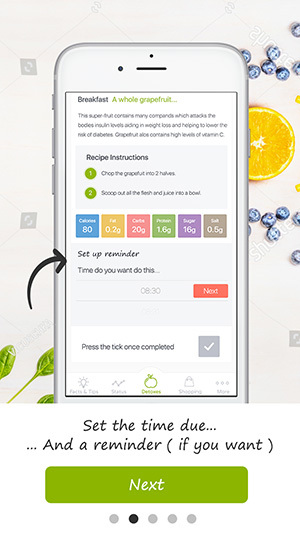 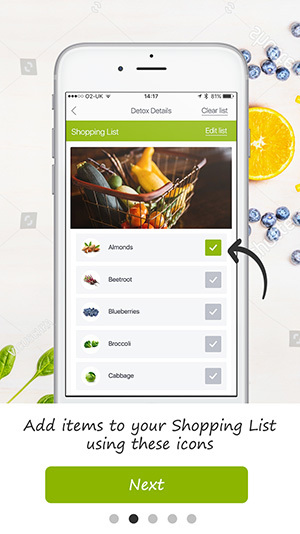 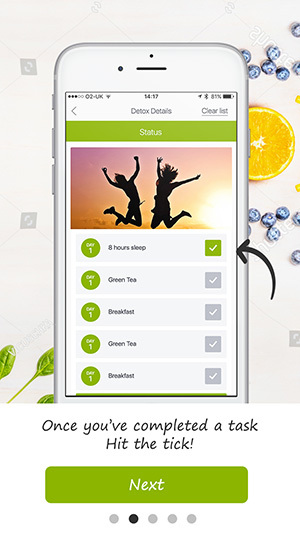 The app is designed so that people can choose and carry out a detox plan for a set number of days. 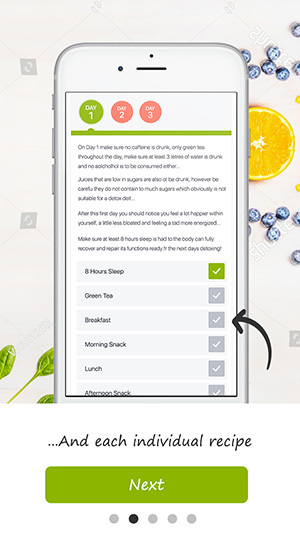 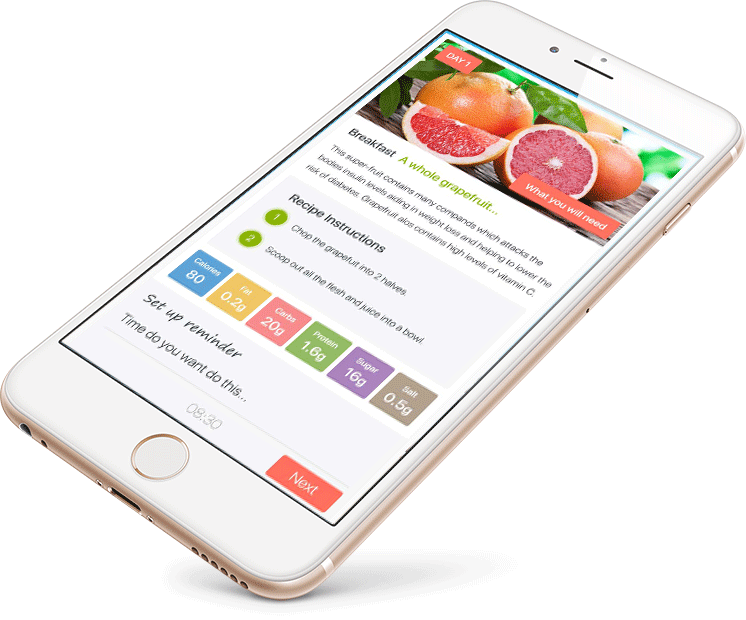 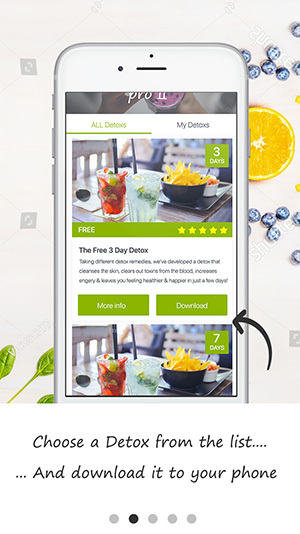 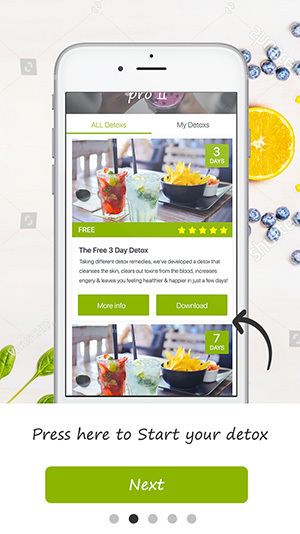 The detox plans are all cleverly thought through based on extensive expert experience and as such has specific action points that the app ensures you perform each step at the right time and record your actions too. 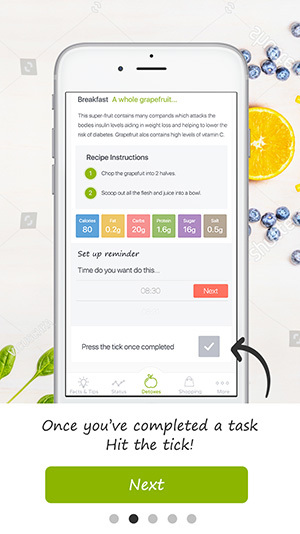 So with this in mind we developed a task completion system that tracks your percentage completion for each day and the overall completion and also the push system that alerts to every meal time with the recipe details. 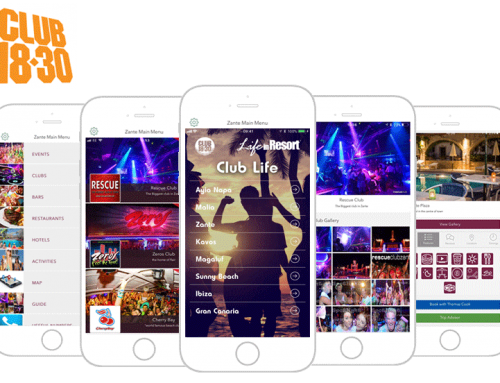 We focused on making sure that the user experience and the user interactiveness was put at the forefront of the design and development aim. 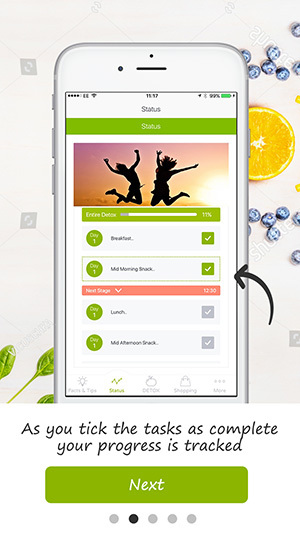 Here you can really see the flow of the app and how intuitive it is for the user. 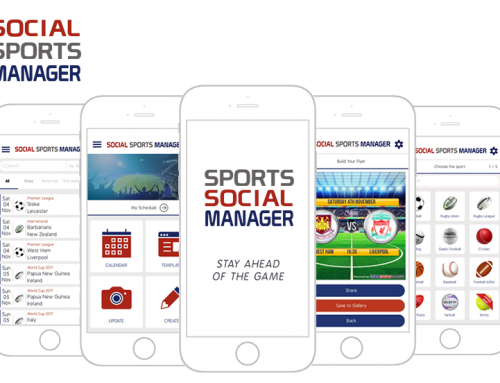 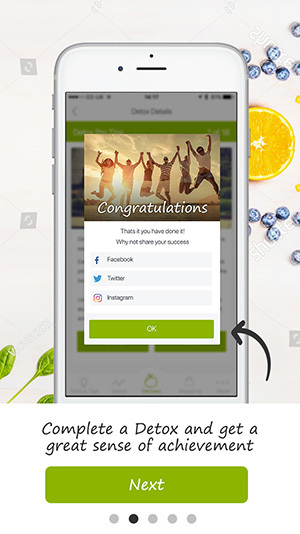 With the ability to share your progress socially with Facebook and Twitter the app has had over 250,000 download to date and this new updated design is expected to bring an even bigger install rate. 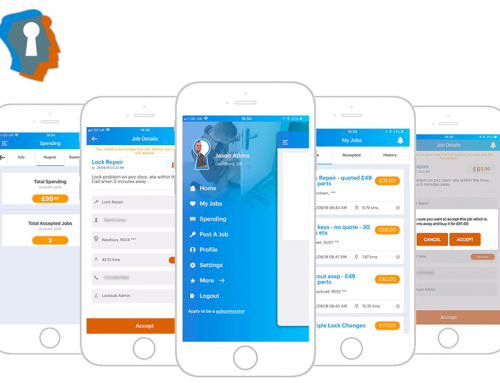 It is now successfully launched on Android and this is also bringing in 1000’s of downloads on the respective app store. 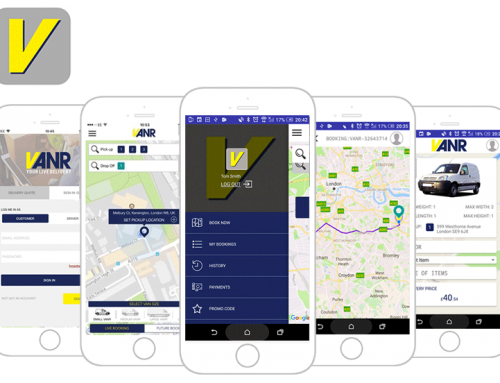 Why not get in contact with us today or request an App Quote and let us bring your idea into a reality.